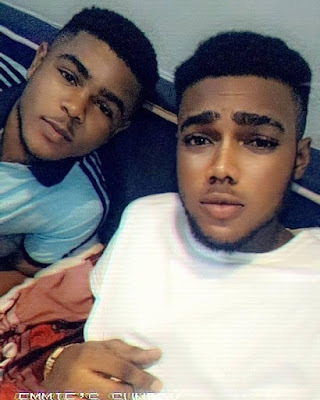 Emmanuel Rowland, a young Nigerian man has taken to social media to reveal his heartbreak after finding out his parents hid his twin brother from him since childbirth. According to Emmanuel Rowland, he thought he was the only child of his parents before he was shocked to find out last year that he had a twin brother which was given to his father after birth (his parents are separated). "Have been in tears have been in pains my mummy..y. do you have to hide my twin from me. 2016 one of my aunty said Emmanuel u have a twin just like a joke I took it, I didn’t ask 4dat. "Since 1997, I grew up with no siblings no sister no brother, she doesn’t even knw how hard it was 4 me growing alone mum y….meanwhile I had 1 hidden from me chai. Nigerians are wicked oh GOD. "Last year 2018 August 8 I received a call from dad, tho we ain’t close so we don’t communicate due to mummy and daddy issues. "We spoke 4 an hour explaining things to me how dey got separate and how she took me and gave my brother to dad. this so sad that have lived without a broda not jst a brother a twin, my twin. I wish they were in my shoes, dey 4 knw say it wasn’t easy. "I needed someone to be dere 4 me, stand by me, laf with me and joke/cry with me, BT thanks to GOD I went to Cali, we did the introduction And now we the best twin bro in the world."